Mahavir Jayanti 2018 is just round the corner. It is one of India’s most revered festivals. According to the Gregorian calendar, Mahavir Jayanti 2018 date is March 29. The festival is celebrated to commemorate the birth of Vardhamana Mahavira, who was the 24th and the last Tirthankara (spiritual teacher) of Jainism. India is the origin of four major religions of the world and Jainism is one of them. As such, there are a number of Jain temples (or derasars) in India which are worth visiting at least once. (ALSO SEE 11 most famous temples in Mumbai you must visit) On the eve of Mahavir Jayanti 2018, we give you 5 prominent Jain temples in Maharashtra that you must visit. Ajanta and Ellora Caves are a popular tourist attraction in Maharashtra. They are known for their historic significance and ancient Buddhist temples. The Ellora caves is one of the largest rock-cut temple structures in the world. It is a UNESCO group of monuments that includes Jain temples. Caves 30-34 hold 5 Jain temples which are worth a visit for every geology and history lover as well as Jain devotee. Mumbai’s Walkeshwar Jain temple or Babu Amichand Panalal Jain Temple is located in the posh Malabar Hill area. It is over a 100 years old and is visited by devotees from all over the city. It is also an attraction for foreign tourists. The Lord Rishabhanatha idol at Mangi Tungi in Maharashtra’s Nashik district is the world’s tallest Jain statue. It is 108 feet tall and 1840 sq. feet in size. 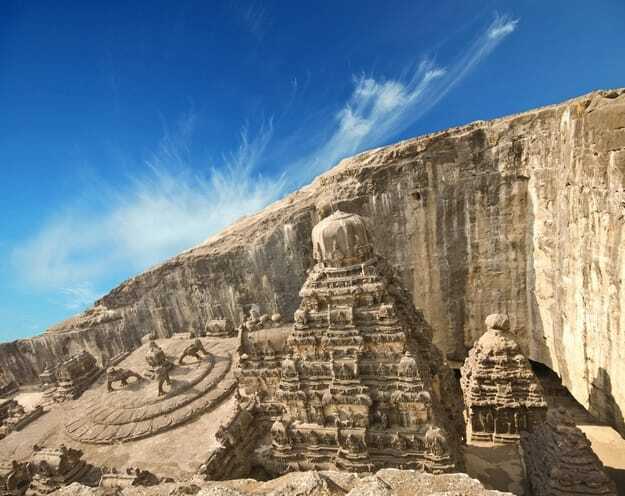 Carved out of the Mangi Tungi hills, the statue is 4,343 feet above sea level. The ancient town of Kumbhoj in Maharashtra’s Kolhapur district is home to the famous Jain Tirth known as Bahubali. It is two kilometres from the main city. The 28-feet statue is one of the most magnificent Jain statues you will ever see. It started as a 6 feet statue in 1156 AD and was visited by numerous Jain saints. The current monolith statue of Bahubali was installed in 1963. Several devotees visit the site to pay their respects. 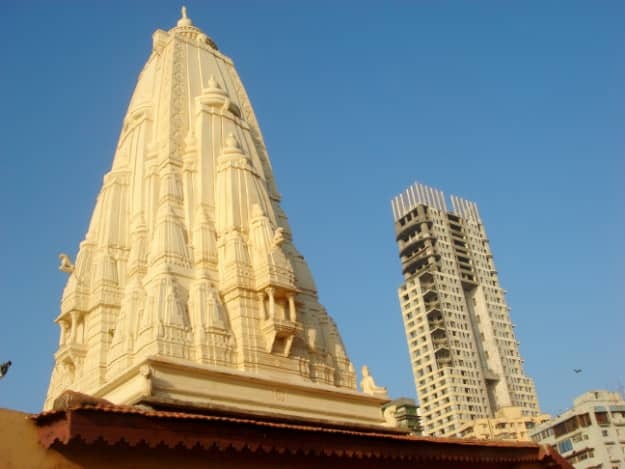 The Godiji Parshwanth temple is located in the Pydhonie locality of Mumbai. The temple is believed to have been built in the early 18th century in the Fort Jain Deraser area. The image, they say, is from Hamirpur in Rajasthan’s Sirohi district. So, this Mahavir Jayanti, visit one of these amazing Jain temples in Maharashtra.